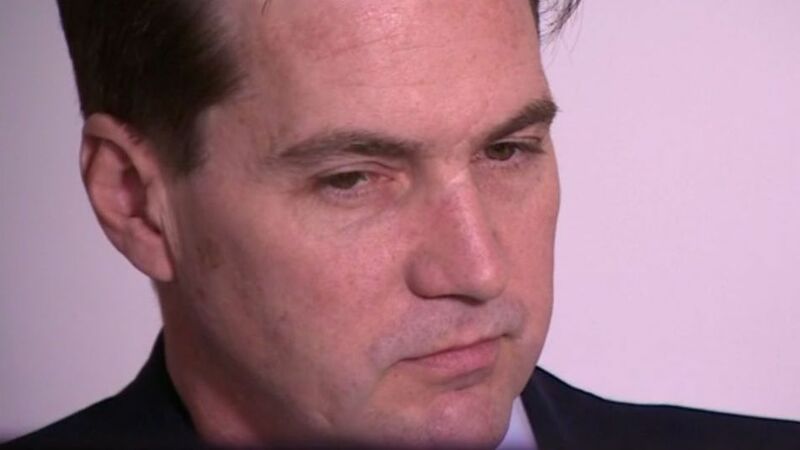 Craig Wright ousted himself as Satoshi Nakamoto, the maker of Bitcoin. The real identity of elusive Bitcoin creator Satoshi Nakamoto is reportedly Australian entrepreneur Craig Steven Wright. Wright has apparently proven his identity to the BBC, the Economist and the London Review of Books, all three of which have reported the story Monday, by digitally signing messages using some of the earliest Bitcoin cryptographic keys, which are linked to Bitcoin blocks mined by Nakamoto himself. Furthermore, BBC claims prominent members of the Bitcoin community and development team have confirmed that Wright is, indeed, Nakamoto. "I was the main part of it, other peopled helped me," Wright said in a televised interview with the BBC. Wright also published an elaborate blog post Monday, explaining, in very technical terms, how he proved he is Nakamoto. Furthermore, Gavin Andresen, the chief scientist at the Bitcoin Foundation, has recently met with Wright and subsequently wrote a blog post saying he believes Wright's claims to be genuine. The identity of Satoshi Nakamoto, who invented Bitcoin in 2008 and is estimated to have amassed around one million bitcoins (some $450 million by today's value), is a mystery that has been puzzling the IT world for a decade. Wright has been "ousted" as the creator of Bitcoin by Wired and Gizmodo, both of which were sent a trove of documents indicating that Wright is, in fact, Nakamoto. However, in a later story, Wired reported that it's more likely that Wright's story is a very elaborate hoax. Shortly after the story was publicized, the Australian tax authorities raided Wright's house in Gordon, New South Wales and offices in Sydney. Wright's motivation for revealing his identity as Nakamoto is to end the seemingly endless media speculation about his identity. An in-depth Newsweek story in March 2014 (which now appears to have been pulled) wrongly identified computer scientist Dorian Nakamoto as the maker of Bitcoin. Why did Wright stay silent all this time? "There are lots of stories out there that have been made up and I don't like it hurting those people I care about," Wright told the BBC. He maintained, though, that he does not want the public's spotlight on him, and that he revealed his identity out of necessity. "I want to work, I want to keep doing what I want to do. I don't want money. I don't want fame. I don't want adoration. I just want to be left alone." "I want to work, I want to keep doing what I want to do. I don't want money. I don't want fame. I don't want adoration. I just want to be left alone," he said. In the interview, Wright also addressed his issues with the Australian tax authorities. "I have companies that are under audit (...) we've told the ATO everything, we've told them about the tax issues and implications. (...) It's still an ongoing matter, so we have lawyers negotiating how much tax I owe." Near the end of the interview, Wright makes it very clear that he will never accept any award, money or help from anyone. He also claims this is his last ever TV interview. "I will never, ever, be on a camera ever again, for any station, or any media, ever." Can we really be sure? Even with cryptographic proof that Wright is Satoshi, and the confirmation of key Bitcoin developers, a lingering doubt remains. The Economist, which also had access to Wright prior to publishing its report Monday, leaves open the possibility that Nakamoto (who communicated only electronically and was never seen in person by anyone) is someone else entirely. While Wright fits the profile of Nakamoto to a degree, it's possible that he obtained the cryptographic proof from someone else — perhaps prominent Bitcoin figure Hal Finney, who died in 2014. "It may never be possible to establish beyond reasonable doubt who really created bitcoin," the Economist's article concludes. In Mashable's report on Wright in December, we've found that Wright's biography claims (he says he has multiple masters degrees and "a couple doctorates") don't always match with reality. It's quite possible that Wright is one of Bitcoin's founders, or at least a key person in the cryptocurrency's development. But even if he's not Nakamoto himself, or if Nakamoto is, as some claim, a group of persons instead of a single individual, it will be very interesting to see what will Wright do next. Wright has apparently proven his identity to the BBC , the Economis t and the London Review of Books , all three of which have reported the story Monday, by digitally signing messages using some of the earliest Bitcoin cryptographic keys, which are linked to Bitcoin blocks mined by Nakamoto himself. Furthermore, BBC claims prominent members of the Bitcoin community and development team have confirmed that Wright is, indeed, Nakamoto. The identity of Satoshi Nakamoto, who invented Bitcoin in 2008 and is estimated to have amassed around one million bitcoins (some $450 million by today’s value), is a mystery that has been puzzling the IT world for a decade. Wright has been "ousted" as the creator of Bitcoin by Wired and Gizmodo , both of which were sent a trove of documents indicating that Wright is, in fact, Nakamoto. However, in a later story, Wired reported that it’s more likely that Wright’s story is a very elaborate hoax . Shortly after the story was publicized, the Australian tax authorities raided Wright’s house in Gordon, New South Wales and offices in Sydney.